Gratitude for Trees of Life — . 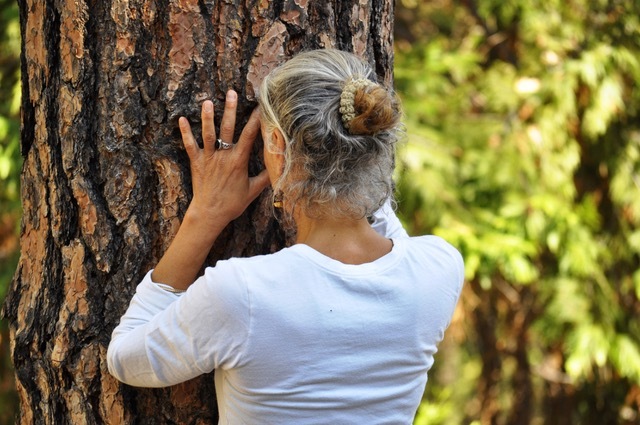 We offer gratitude to the Life-giving Trees. You whose green breath sustains our breath. You who have created the atmosphere in which organic beings can thrive. Gratitude to the tall Redwood brothers, and all the ancient Ones, who hold in your crowns a thousand life forms we don’t know yet and in your root systems whole constellations of tiny and essential beings. To the kind Apple trees and all you who bear fruits that feed us, we thank you for your unceasing generosity, for the long journeys you’ve taken with our human lineages. To Mother Maple, thank you for coloring our Autumns with crimson and our Springs with sweetness. To the Medicine trees, Hawthorne, Elder, Juniper, Willow, all of you who restore our bodies and spirits, we thank you. Holy fragrance of Cedar, Frankincense, Palo Santo, you bring us back to remembrance of the sacred. Thank you. All you Pines, Spruce, Fir and all evergreens who speak to us of Life, in the white silence of winter, gratitude for giving us faith. Sweet Birch, Beech, great Oak, all you whodrop your leaves and renew them each year, may we learn from you how to shed what is finished and birth what is coming. May we learn to read your sacred language as you teach us how to live. Thank you, trees for the music you make with the wind, for the way you gentle the rain into the earth, for your sheltering, protection and inspiration. World trees whom our ancestors recognized. We honor you. Ceiba whose roots live in the Below World and who holds the gods in your branches. Yggdrasil, mighty Ash, living simultaneously in all the worlds. Trees that gave birth to our fathers and mothers. Bodhi tree, sacred Palm, Banyan and Baobab, Cypress and Tamarisk, trees of our collective spiritual heritage. How you have guided and inspired us! White Pine, tree of Peace, may we understand your teachings. May we follow them. Trees of Life, our elder relatives, may we meet you with reverence, gratitude and love. We ask your forgiveness for human destruction of forests, and we commit ourselves to restoring all that we can, knowing that it is not only our own lives that depend on it. We offer appreciation for all the human stewards of trees, the scientists who explain to us their needs and secrets, the tree planters and the preservers of old growth forests. We give thanks to the poets and artists, myth-makers and mystics who help us all to remember the sacredness of Trees.